The first year of college, students show up with enthusiasm in one hand and motivation in the other. But as sophomore year rolls around, the novelty of college begins to wear down. The challenges of difficult course loads arrive, money issues surface and doubts about major choice start to creep up. To top it off, graduation seems (and is) years away. Enter the sophomore slump: a constant reminder of what you got yourself into. The stress of college life really sets in once you’ve passed introductory classes and are thrust into the middle of major-required courses. You’re busy balancing stuff that really matters, and probably a bunch of general education classes too. Here’s a secret: don’t do all of your reading assignments. It’s simply not the best use of your time. Granted its something you’ll need to gauge on a case-by-case basis, but after doing the reading for each class for the first few weeks you’ll be better about judging which reading assignments are necessary and which can be skipped. Studying (or pretending to) in your dorm room might have worked freshmen year, but do yourself a favor and find a reliable, quiet place to get stuff done. Let this place trigger the motivational, focus-oriented bones in your body and hold it sacred. It can be the library, cafes and coffee shops near campus or a hideout on the backside of a building in the great outdoors. Wherever it is, only use it to be productive. 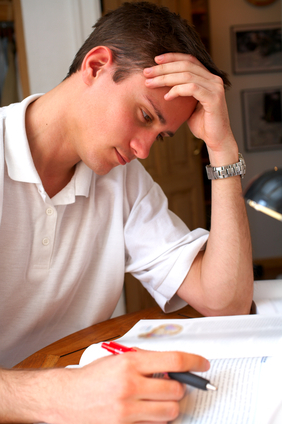 You’ll find whether you are submitting scholarship applications (something you should continue to do throughout your four years), applying for jobs online, studying or checking your email (also important – universities and advisors often send vital information via email), the distractions will be minimal because of your mindset. This one is tricky but doable. A job can pay the bills and teach you life and work skills — all important. But if you can, choose a job somewhat related to your future field. If you are going into architecture, apply for an on-campus yard and maintenance position. If you are interested in writing, work as an office assistant at the university’s newspaper or alumni magazine. At this point it doesn’t matter if you aren’t working directly in your future field, but you have a foot in the door and can learn from other people higher up in the chain. Seek out and attend networking events. As an underclassmen you have the unique opportunity to attend career fairs, meet and greets and leadership conferences and learn for the sake of learning. You won’t have all the stress or anxiety of an upperclassmen trying to score an important internship, but you do have the same opportunity. When it comes to career success after college, it really is who you know, AND what you know. Make connections with leaders and peers in your industry. It’ll be worth it. Don’t try to be a jack of all trades. You need to test the waters and consider the options to find what you are really interested in, but once you do, focus on a few things rather than juggling a lot of things. This can be rough advice to take for the go-getters who can’t stand to pass up an opportunity. As a general rule, if you try to do everything you’ll be good at nothing. Follow the good, better, best guideline and realize for future employers it’s better to have a few amazing skills than many moderate ones. About the author: Gina Waters is a volunteer firefighter, nanny and freelance writer, Gina has been a dedicated serious writer of articles and fiction since her first publication, when she was 18.